Some of the world’s most luxurious and superb superyachts will be showcased at the upcoming 2017 Fort Lauderdale International Boat Show, (known informally as FLIBS), which will take place on November 1-5 in Fort Lauderdale, Florida. 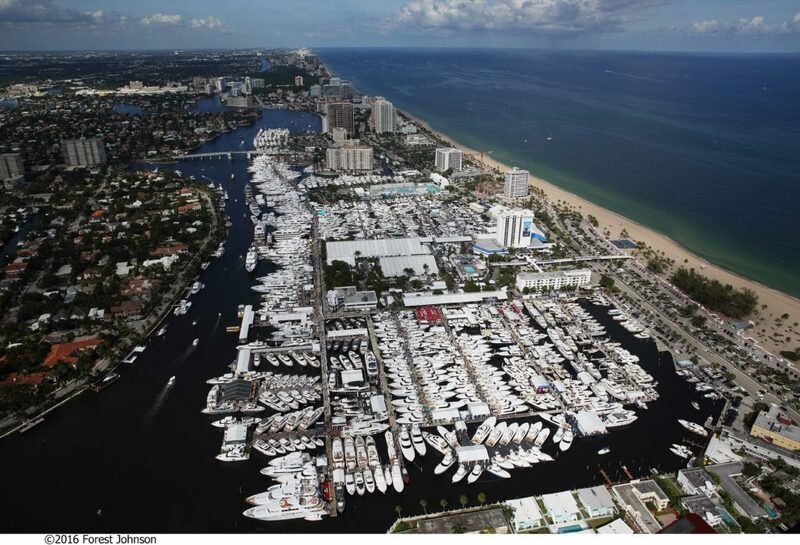 Now in its 58th year, FLIBS bills itself as the largest boat show on the planet. A claim that rings true, considering that it takes place across seven locations, covers more than 278,000 square meters (2,992,367 square feet), and features in excess of 1,500 boats and 1,200 exhibitors. Each year an impressive array of superyachts goes on display at FLIBS, and 2017 will be no exception. There will even be a VIP option available, created expressly for those who want greater access to FLIBS’ superyacht area. The best way to truly get to know the most important details and information about the spectacular megayachts being exhibited this year at FLIBS is to arrange a visit with Kent Chamberlain of Chamberlain Yachts. Headquartered in Ft. Lauderdale, often referred to as the superyacht capital of the world, Chamberlain brings over 37 years of experience in the yachting industry and specializes in representing superyachts. Whether you’re looking to become a first-time yacht owner or simply want to move on or trade up, contact us at Chamberlain Yachts and take advantage of our personalized attention, as well as our wealth of expertise, to help you discover and explore the best opportunities available at this year’s Fort Lauderdale International Boat Show. Here are just three of the spectacular superyachts that will be on display at FLIBS in 2017. Built in 2016 by German shipyard Abeking & Rasmussen, the 72.5-meter (237.86-foot) M/Y Cloudbreak will no doubt turn many heads and generate a great deal of buzz at FLIBS. For starters, the supremely luxurious Christian Liaigre-designed interior of this imposing megayacht features spacious accommodations for 12 guests, including a master suite, 3 double cabins and 2 twin cabins. It also boasts the latest leisure and entertainment options, a fireplace, and luxurious fittings and furniture throughout. Her exterior design by Espen Øino includes a range of must-have amenities, such as an on-deck Jacuzzi, a beach cub, a fully-certified helideck, a ski room and an expansive tender garage. In addition to her steel hull and aluminum superstructure, this custom displacement yacht operates cutting-edge stabilisers, which work even at zero speed, dramatically increasing on-board comfort, both in rough waters and at anchor. Cloudbreak has a cruising speed of 12 knots, a maximum speed of 15 knots and a range of 8,500 nautical miles. A 47-meter (154.20-foot) luxury yacht distinguished by its classic lines and timeless elegance, the brand new M/Y Book Ends makes her public debut at FLIBS. Built in 2017 by Heesen, as the sister ship to the award-winning M/Y Elena, M/Y Book Ends features an interior designed by Bannenberg & Rowell, which offers 5 guests cabins that can accommodate 10 guests in the height of comfort. One of the most spectacular features of this megayacht is her 85-square-meter (915-square- foot) sundeck – the highlight of an Omega Architects-designed exterior, which provides ample space for sunbathing, lounging and working out. In addition, the stunning al fresco dining space, located on the upper deck aft, with seating on the main deck aft and foredeck, provides a majestic total outdoor deck space of 180 square meters (1,937.5 square feet). Thanks to her twin 1,341 hp MTU 8V 4000 diesel engines, this superyacht has a cruising speed of 12 knots and a maximum speed of 15.6 knots. She also boasts a transatlantic range of 4,000 nautical miles. 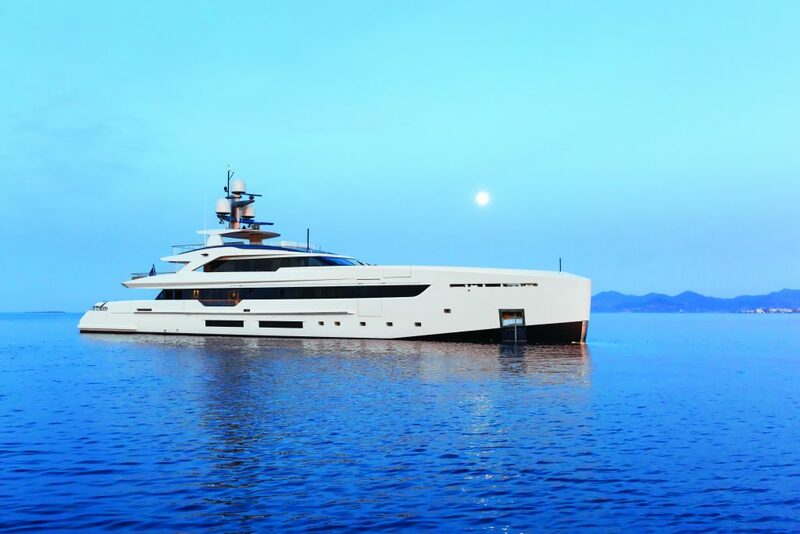 The sleek 49.9-meter (163.71-foot) M/Y Vertige was launched earlier this year by Tankoa Yachts. She boasts an extremely spacious 499 gt interior, which was designed by Francesco Paszkowski, who also serves as the designer for the exterior. Among the many splendid offereng aboard this magnificent megayacht , guests will be able to enjoy a beach club gym, master suite, VIP stateroom, 3 double and 1 twin cabins, an upper-deck home movie theater and a huge, 7-meter (22.96-foot) tender garage. This semi-displacement yacht has an aluminum hull and aluminium superstructure, along with at-anchor stabilizers that help produce a comfortable, smooth experience both at zero speed and on the open water. Vertige’s cruising speed is 12 knots, her maximum speed reaches 16 knots, and her range is an impressive 5,000 nautical miles. For advice and guidance in purchasing your dream yacht, please get in touch with Chamberlain Yachts.